Periodically, stories emerge from war that transcend the hate, ugliness, and conflict. One such tale hearkens from the Northern Isles of Scotland. The Orkney Archipelago is located ten miles off the coast of Great Britain, and contains seventy islands, twenty of which are inhabited. The Ness Gun Battery was constructed on Orkney for use during WWI, and outfitted with guns manufactured in the United States. The Battery was used to defend the western entrance of the Scapa Flow, one of the “great nature harbors/anchorages of the world, with sufficient space to hold a number of navies.” (Wikipedia). 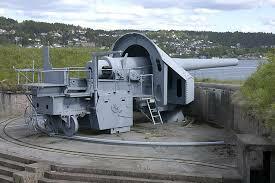 After the war, the batteries were dismantled and the guns removed. With the commencement of WWII, the area once again needed defending, so the batteries were rebuilt. Used until 2001 as a training location, the site was sold to the Orkney Islands Council. The Council diligently began conservation efforts with special focus on the murals found on the batteries’ walls. You read correctly. Hidden inside these elements of war, are beautiful depictions of rural life in England, painted in muted earth tones. They are signed by A.R. Woods. In 2011, the Council indicated they found an A.R. Woods, and were able to secure a photograph, but they are unsure if he is the artist. A Navy man with a penchant for painting, he is a strong possibility. However, no documentation has yet been found to confirm his being stationed on Orkney. The trail may have grown cold-I have been unable to find any further references to the search for Mr. Woods. Other questions come to my mind. Where did the paint supplies come from? Orkney is a remote island. Did the man bring his own paints and brushes? The country was at war. When did he have time to paint? Did he use all of his off-shift hours to create the art? 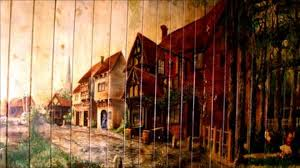 What town or village are depicted in the murals? Was A.R Woods the artist’s real name? Did he go on to have a career in art? Has too much time passed for this mystery to be solved? What do you think?